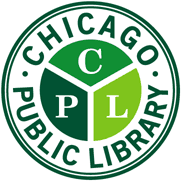 Calling all young inventors ages 8 and older to the Kid Inventors event series on Thursdays in February and March, 2019, at the McKinley Park branch of the Chicago Public Library, 1915 W. 35th St., Chicago. This series of three programs will promote creativity and problem solving through invention, with the chance to submit inventions to the Chicago Student Invention Connection. The event series takes place from 4 p.m. to 5 p.m. on Thursday, February 28, on Thursday, March 7, and on Thursday, March 14.